General Practitioners and approved Medical Specialists can access the Free Interpreting Service through TIS National, when delivering Medicare‑rebateable services in private practice to anyone with a Medicare card. Nursing and practice support staff working with practitioners registered with TIS National can also access the service using the same client code. Interpreters in over 160 languages and dialects are available 24 hours a day, every day of the year. Once registered for the Free Interpreting Service medical practitioners get access to the Doctors Priority Line, which gives priority access to interpreters over other callers. 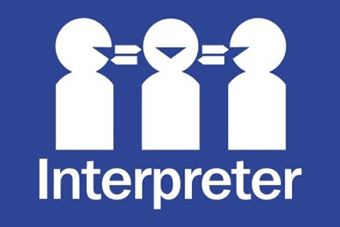 Working with professional interpreters is essential to ensuring medical practitioners are able to communicate effectively with their patients and are protected from professional risk. This is particularly important when seeking consent, in crisis situations, dealing with complex issues and assessing patient competence. Research by the Australian National University Medical School provides examples of significant physical and psychological harm resulting from not using a professional interpreter. There is also significant professional risk for practitioners not able to communicate effectively with their patient, particularly in regards to; understanding symptoms, prescribing medication or treatment and/or obtaining informed consent. To access this free service complete the client registration form. For more information contact TIS National Language Policy Liaison team on tis.lpl@border.gov.au or by calling 1300 575 847.